This successful restablishment of black bears led to a renewed black bear hunting season in Arkansas in 1980. 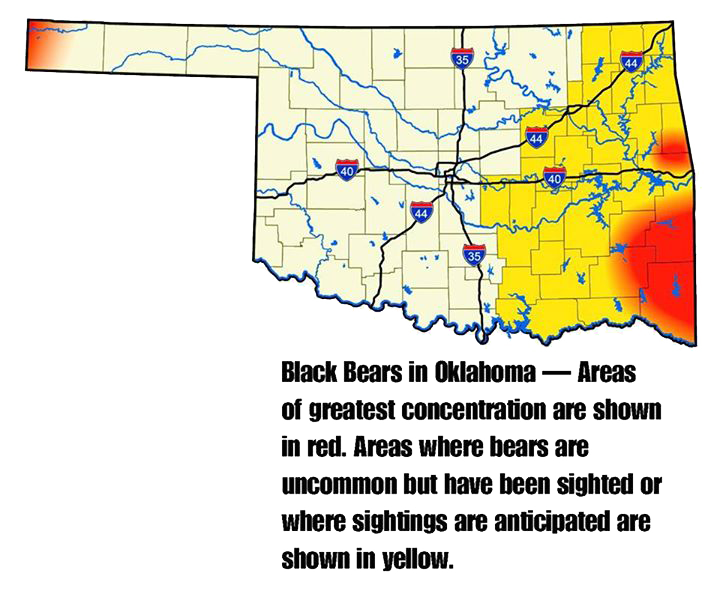 Today bears have a growing population in southeast Oklahoma and are an important part of the state's wildlife diversity. Biologists with the Oklahoma Department of Wildlife Conservation have collected biological data mainly from bear surveys and research projects.